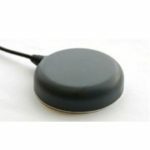 The TW2605 by Tallysman Wireless is a professional grade, magnet mount, passive right hand circularly polarised antenna for the 1616 to 1626.5 MHz frequency band, specially designed to maximise the performance of the Iridium SBD Modem. designed to maximise the performance of the Iridium SBD Modem. remain truly circular, unlike the response of single feed antennas. 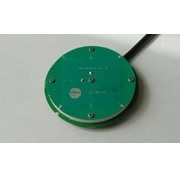 diameter ground plane and with a 15 cm RG174 cable.